Although there are a ton of things out there on the internet that will seriously damage your computer, there is something a lot more dangerous than a typical virus out there these days. I’m talking about Ransomware. This isn’t just a really bad virus. It is a tool that criminals are now using to lock you out of your own computer, steal every bit of information you ever had on it, INCLUDING access to all of your online accounts, and holding it for ransom. Unless you pay them the amount of money they are asking for, your computer is absolutely useless, and your information is 100% gone. I get what you are thinking. This could never happen to you, right? This is something that doesn’t happen to many people, right? Well, that isn’t the case, and it is a lot more common than you would think. There are a few things you can do to prevent this from happening to you, and there may even be some ways to salvage your precious data without having to pay for your own belongings. 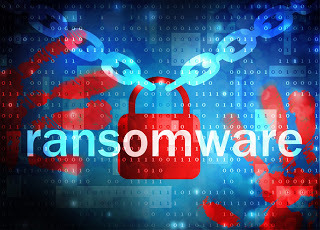 For more information, click here to check out this awesome article on Ransomware and what you can do in order to keep yourself in the clear. Next Post: HP Spectre Laptops Available for Rent Soon! Really Nice article, I appreciate your research and time for writing this. Hey Jake, I never knew about this lethal virus in my system. Thanks for making us aware. These people are so rude. How can they do something like this for money? And the sad part is it can happen to anyone of us. Thanks for sharing the articles to be safe from this virus.